Sgt. Tracy Cox has permission to wear her own shoes in the jail. We need to keep in mind, however, that allowing an inmate to wear his own shoes gives that inmate secondary gain. Shoes from home are, indeed, more comfortable than the typical jail sandals. Also, any inmate who is granted a special privilege, like wearing his own comfy shoes, gains status among the other inmates. When we approve inappropriate requests for “own shoes,” we are bestowing prestige upon that inmate. And we are denying that prestige to those who we refuse. The unfairness of this is not lost on inmates. Finally, “own shoes” are occasionally used to smuggle contraband into the facility. I remember one pair that had an ingenious hollow space carved out of the sole that was not easy to find on a typical security examination. If you routinely grant requests for “own shoes,” you will inevitably get burned in this way. The second important point is that it is the responsibility of the security staff to provide footwear to inmates; not the medical staff. The question we are being asked in these encounters is this: Is there a medical need for this patient’s own shoes? I argued in A Quick and Easy Solution for Second Mattress Requests that there is never a “medical need” for a second mattress. That is not the case for footwear. There are indeed cases when special footwear is medically indicated. In fact, medically prescribed shoes have a medical name; they are called Orthotics. Examples of orthotics are walking casts, splints like the CAM walker and special shoes with, say, a special built-up heel for patients who have one short leg. The key here is that orthotics are 1) prescribed by a physician and 2) fitted in a medical clinic. They are not purchased “off-the-rack” in a store. This includes arch supports that patients can purchase in a store, like Dr. Scholl’s. So the first part of this Quick and Easy Solution is this: orthotics, as described above, may be approved on medical grounds for use within the facility. Orthotics must fulfill both criteria: they must be both prescribed by a physician and fitted to the specific patient in a medical clinic. It is not enough to just get your outside doctor to write you a prescription for your Air Jordans (as I have seen many times). (See The Right Way to Deal With Outside Physicians). Orthotics still must also be cleared by the security staff, however! Orthotics can be used to hide contraband, too. Orthotics sometimes have metal that could be made into a shank. One inmate with a short leg had his special built up heel on a pair of pointed-toe cowboy boots that could be dangerous in a fight and so were not permitted on security grounds. The second part of this Quick and Easy solution is this: the inmate’s own store-bought shoes are never medically indicated. This takes the whole issue of store-bought “own shoes” out of the medical arena entirely. There is no reason for an inmate to go to the medical clinic to ask–it is not a medical issue. Such requests can be routed to security to handle. If they want to give “own shoes” to an inmate, they may, but there is never a reason for a deputy to say to an inmate “The only way you will get to wear your own shoes is if medical approves it.” In this system, medical never does. In some jails (notably the Davis County Jail in Farmington, Utah, where medical services are supervised by my friend James Ondricek), security has taken over the shoes issue entirely. Medical is seldom involved. However, there are a few special cases that require a special discussion. 1. What about diabetics and diabetic foot disease? Don’t diabetics need special protective footwear? In my mind, this is debatable. Diabetics need to manage their diabetes properly and take care of their feet. I think they can do this wearing jail footwear. However, others disagree with me. The best solution I have found to satisfy both opinions is for the jail to purchase slip on or velcro sneakers, which medical can then prescribe to appropriate diabetic patients. Note that this makes them orthotics by definition: they are prescribed by medical and hopefully fitted in diabetic clinic, at which time foot care is reviewed, as well. Giving these patients prescribed jail sneakers also eliminates the other hazards of “own shoes” we have discussed, such as being used to smuggle contraband and enhance status. 2. What about patients with neuropathy of the feet? The problem with non-diabetic neuropathy of the feet is that it is hard to objectively evaluate. Often, it is what the patient says it is. I don’t disbelieve my patient necessarily, but I also do not want to get into the situation where inmates can get their own shoes just by saying their feet hurt and tingle. Once they figure that out, I will see a lot of patients with tingly feet. A better solution is to take patients with documented neuropathy (they have seen a neurologist, say and have had nerve conduction studies) and fit them with jail sneakers just like the ones we discussed for diabetics. 3. What if the jail does not have the right size shoes? I call this “The Shaquille O’Neal” dilemma. What would you do if Shaquille O’Neal (7′ 1″ tall, 325 pounds) was booked into your jail? One immediate problem with Shaq is that he wears size 23 shoes. Your facility probably does not stock that size. (If your facility does, I’d like to hear about it!) In my mind, this is not a medical issue. This is a clothing issue. If the facility does not have footwear that this man can wear, one solution would be to allow him to wear his own shoes. However, this is not a medical issue. There is no need for a medical memo. 4. Are there any other patients who might qualify for more comfortable footwear? There is a long list of other subjective complaints that could potentially be eased by more comfortable footwear. Rather than going into them one by one, a better solution is to place the jail sneakers we have already discussed on commissary, where any inmate can purchase them without having to go through the medical clinic. Outside of jail, if your shoes aren’t comfortable enough, you don’t go to a medical clinic. You go to a shoe store and buy better, more comfortable shoes. I think we should allow inmates the same right by making jail sneakers available on commissary as part of the OTC commissary program. Consider making arch supports available on commissary, as well. Some jails give these jail sneakers to the elderly and to women in their third trimester of pregnancy as a comfort item. 1. The only medically necessary footwear are orthotics, which are prescribed by a physician and fitted in a medical clinic. 2. There are no medical indications for “own shoes” from home. 3. Diabetics and neuropathic patients may be fitted with facility-purchased sneakers as part of their medical management plan. 4. It is a good idea to offer sneakers and arch supports on the commissary so inmates can purchase them without having to go through medical. If you would like a sample policy to help you in creating your own, email me and I will send you my “own shoe” policy. 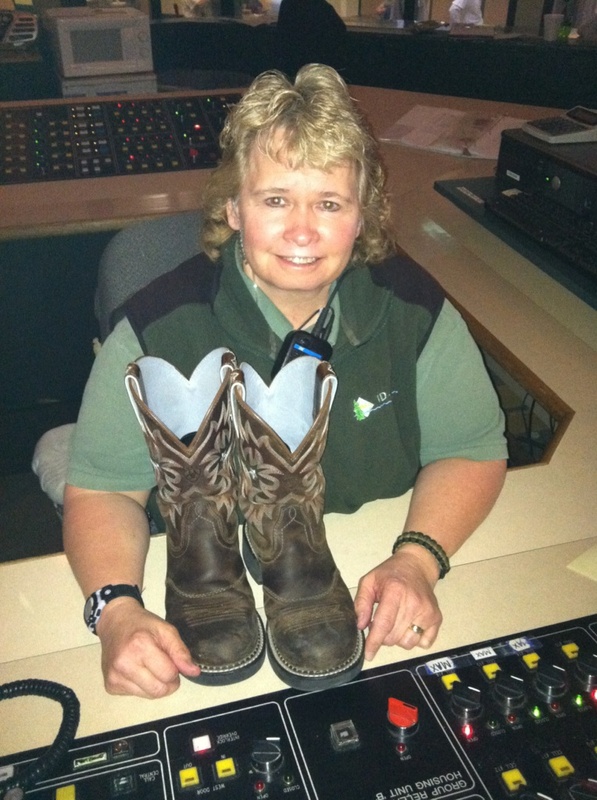 Has “own shoes” been a thorny issue at your facility? How did you solve it? This entry was posted in Comfort items, Diabetes, Inmate issues, Jail culture, Medical Practice and tagged comfort items, Commissary, correctional medicine, Diabetes mellitus, inmates, jail medicine, jails, orthotics, own shoes, prisons on March 6, 2012 by Jeffrey Keller MD. I just found your website and I love it! I would love a sample police to help create our own “own shoe” policy as it has been a BIG issue in my facility. Please e-mail me your “own shoe” policy. Not sure if this is still available, but can you send me a sample policy? I am with Denise. What a wonderful resource your site is. I have already printed three of your article for the Jail physician to read. I work a small local jail and am “The Medical staff”. You cover the unique issues medical professionals face in the correctional setting. My job has just gotten a little easier. I really love your common sense approach. I would so much appreciate a sample “own shoe” policy. Sent! Please let me know if you find it useful. I too would love to craft our policy based on what you have. If you don’t mind, please send a copy. Sent! Please let me know if you find it useful at your facility. I would also love a sample police to help create our own “own shoe” policy. Thank you! Coming your way, Cheryl! Please let me know if it helps! Excellent post. Please send a copy of your policy. Thanks for the feedback, Mark! Policy on its way via email. Just re-reading some of your older posts and found the one on shoes. Please send me your suggestions for a policy on this, extra mattresses and (if you have anything!) extra ‘blankets/towels’ for positioning. I am empathetic to the facts that the jail mattresses are very thin, the rubber ‘crocks’ are worn and reused over and over and it’s simply not comfortable to be in jail. However, I don’t believe that the Medical Division should have to endure the onslaught of either turning down everyone or having to see every patient to determine if there is a medical cause to say yes! I’d like to see your policies, if you are willing to share, as it would be a great help in crafting and determining mine for some positive changes at our facility. Thank you for all that you do within this arena! Great points made by everyone. Please send me your policy, and if you have any similar procedures or references re: bottom bunk requests! Another pet peeve that has taken me years to develop my standardized ” no ” response to ! In my facility all the comfort items, which i point out to inmates & staff alike, have no evidence based support for true physical or physiological benefit or healing. Maybe extra pillows for persons with heart failure, or possibly an exceptional immobilizer brace or ACE wrap, but very discretionary! Anything of value, including our religeous diet ( which, requests for thankfully, are easily turfed to religeous services !) or commissary items (stamps, mackerel, etc) we know is used as barter or for gambling debts. We were able to convince our local commissary to carry one brand of white gym shoes, as well as insoles. Thanks for the article. May I have a copy of your ‘own shoe’ policy? Do inmates with Diabetes fall under the same policy? Do you have an effective, inclusive mental health preliminary screening that you could foward to me as well? Thanks so much. On its way via email, Lorraine! I work in a jail in Canada and it is funny how all jails, no matter where they are in the world, share common issues. Top of our list is inmates requesting their own shoes! If you could send me your “own shoe” policy I would appreciate it! I would like a copy of “own shoe policy”and comfort items. Looking forward to conference in Feb. Since I just recently found your site, I have been back tracking the Archives. I would greatly appreciate a copy of your “own shoes” policy and any other policies that address comfort items. Hi, Dr. Keller. I’ll be sharing copies of not only this article but many others with my staff. I appreciate the guidance your articles offer for the seemingly simple but needle some situations we encounter in the correctional setting. “Yes!” please send me your “own shoes” policy. Thank you. Could you please send a copy of your “Own shoe” policy? Sent! Let me know if you find it useful! Id also love a copy of your own shoe policy….ty! Love the article! Could you please send me a copy of the policy! 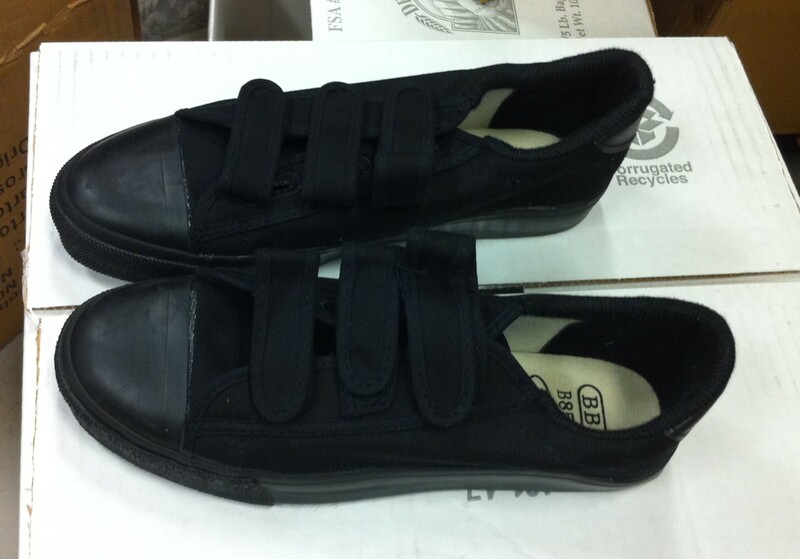 My first job as a medical provider is at a state prison and I am blown away by this shoe pass “thing”. I found this information very helpful and I would really appreciate a sample shoe policy to reference to. Thanks. Could you please E-Mail me a generic policy on medical footwear in jails. Can I please get a copy of this policy as well? Thanks so much! I would love a copy of your sample guidelines. We had great success with creating our allergen policy after reviewing yours. Thanks for this amazing site! Hi Andrea! All guidelines are found under the “Guidelines” tab at the top of the Home page. More will be coming soon!